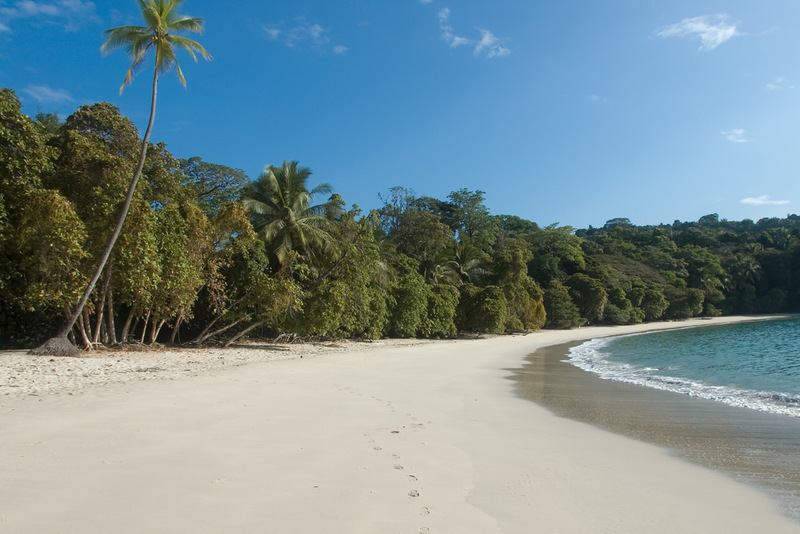 Manuel Antonio is one of the most famous areas in Costa Rica, a “must visit” location. Despite being the smallest national park in the country it’s so rich in fauna and flora that it attracts foreign and national tourists all year round. Below you’ll find a great guide to the Manuel Antonio National Park as well as some tips as well as what to do in town. One of the most visited and acclaimed national parks. It has an opening and closing schedule from Tuesday to Sunday, from 7AM to 4PM and they only let in a certain amount of people. A good recommendation would be arriving early, especially during the peak seasons, otherwise, you will have to wait in line for people to leave the park. There is a fee to enter with a cost of US $ 16 for foreign. There is also the option to visit the park with a tourist guide for an additional charge. This is a really good option since some of the most beautiful animals could be sleeping or hiding, and guides have a special eye for spotting them. Their equipment also allows you to take professional photographs and sight even the smallest animals and insects with details. They also have tons of knowledge about each species and historical knowledge about the park. Bring your own beverages and snacks. Once you enter the park, there are no kiosks or ambulant sellers to provide you with food or drinks. Bring sunblock, even though you’ll be waking under the shadow of trees, there are some parts where the light still comes through and you’ll get sunburned unevenly. There are several maps placed through the path in order to show you the way to bathrooms and beaches, as well as park rules that must be followed or you’ll be fined. The correct disposal of trash is very strict in the park. There are several recycling bins throughout the park as well as regular trash cans to dispose of waste correctly. It is very important to follow the trails that were specially created for humans to prevent accidents. Keep your eyes open, you’ll be walking through the forest and all kinds of monkeys, sloths, butterflies, toucans, snakes, sloths, iguanas and more animals will appear on your way. Inside the National Park, you’ll find several beaches to spend the rest of your day and relax after walking through the astonishing forest. White sand beaches mix with the green trees and turquoise ocean. The sea is really calmed and has an unavailable temperature all year long, great for swimming and snorkeling. The translucent water will allow you to see the colorful fishes swimming by your toes. If you are lucky enough, you will notice a sea turtle or a sea ray dancing with the movement of the small waves. A great idea would be to unfold a towel and have lunch under the shadow of the trees. Be careful! Monkeys and raccoons have a great smell and are very curious, they might approach your picnic site to steal food or personal items with their small hands. These animals must not be fed on purpose, they’ll come back for more with their entire herd. Don’t be afraid if you open your eyes after a nap in the sand and you find a sloth right above you, they are sleepy animals worth of admiring. Outside the National Park, there are also several beaches that could be visited. Also with white sands and turquoise ocean where animals will approach you no matter what. Here you will also have locals selling typical beach snacks such as “Ceviche” and “Granizados” to cool up your day. There are several spots to rent aquatic toys like paddle boards, kayaks, snorkeling equipment or even you could parasail. Right next to the beach there are some restaurants to have lunch or dinner. If you are traveling on a low budget, here you’ll find hostels, cheap hotels, camping sites, or you can even visit the beaches and park for the day. But, if you are looking for luxury and comfort, there are very good hotels and private houses with beautiful ocean views ready for you! The picturesque town of Manuel Antonio offers great dining options and perfect stays. Locals will receive you with a smile and guide you through town as you ask. The National Park is a surrealistic experience where you will have fun or relaxing surrounded by the incredible animals that inhabit this place. Definitely, Manuel Antonio is a place not to be missed! 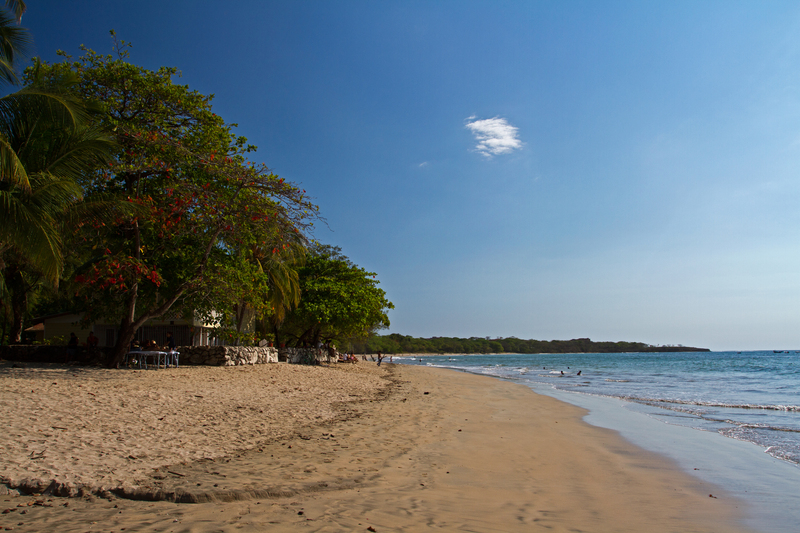 Get to Know Guanacaste With all the Comfort! The North Pacific region, commonly known as the Gold Coast, is one of the most emblematic regions of Costa Rica. In this region, you can see a strong Guanacastecan culture which attracts hundreds of foreigners and nationals. Its plains, farms, beaches, and mountains are the excellent combination. If you are planning on moving to this region or a dream vacation, I will recommend you three of the most exclusive and impressive residences to visit. Here, nature, beach, and luxury combine creating the perfect lifestyle. One of the newest developments, located beachfront of the white sand beaches called Danta and Dantita. The project was designed with colonial colorful houses with a specific distribution order for the luxurious lifestyle to mix with nature and wildlife. Likewise, its streets have panoramic views, enhancing the beauty of the place and creating a feeling of relaxation at all times. It has a beautiful beach club that includes an infinity pool with a restaurant overlooking the sea. On the beach, there is also a restaurant that opens onto a playground for children. Equipment is provided for activities ranging from boogie, surf, and exploring the area with snorkeling and kayaking. Likewise, it is a great place for lovers of hiking and mountain biking since it has 25 km of hiking trails and 25km bike routes. It is considered one of the most recognized resorts, golf and spa development of 930 hectares in the North Pacific. A luxurious residential located beachfront of Playa Conchal, one of the most acclaimed beaches in this region. The name “Conchal” means shell, this is because of the unique texture of the sand that is made from thousands of millions of little-crushed pieces of shells. It is composed of a large luxury hotel and different condominiums with private houses for rent or sale. It is one of the most sought-after areas for rentals during the high season since its proximity to the white sand beach and turquoise water that provides great comfort. In addition, there is a private access to the beach club that offers different restaurants, poolside service, access to the fitness center and the wellness spa, in which they implement the most innovative relaxation techniques. The beach club and shared area are great for New Years and Christmas most eccentric and elegant celebrations. It is also well known for other events such as weddings and massive corporate events. The delicacy of its construction and decoration blend perfectly with the beautiful beach. A place not to be missed. Located in the area of Playa Avellanas and Playa Langosta you will find this elegant beachfront development of 4500 hectares. It has 3 of the best beaches found on the Gold Coast with direct access in different sectors. It mixes elegant properties and details with nature. Upon entering the property you will see forests and land for sale, as well as the different direct accesses to the beach. Further on, precious residences begin to appear, most maintain a colonial hacienda style making reference to Guanacaste’s finest folklore. There are also modern houses and small condominiums. Like other exclusive residential areas, it offers fine dining and contains a large luxury beach club with food service, gym, spa and daily activities. For surfers, the three beaches located within the complex have unmissable waves and are recognized for it. It is a quite renamed place especially during the high season, in which the beach club is used for end of the year and Christmas celebrations, weddings and private parties. The Pacific coast has a great variety of wonders to discover. These 3 projects are very luxurious and can give you all the comfort and satisfaction of knowing one of the most beautiful regions in Costa Rica in the best way. Between the months of July thru October, you’ll be able to observe one of the most beautiful natural phenomena: the nesting of turtles. 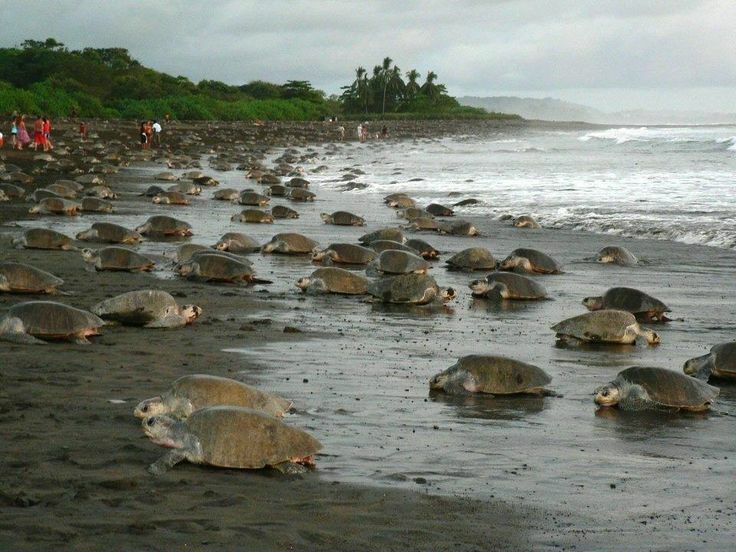 Every year, hundreds of turtles come to the beaches of Costa Rica to lay their eggs, while others are born and start hatching from their eggs towards the sea simultaneously. Biologists and scientists have different theories about why turtles nest and hatch massively and simultaneously. Many believe that they have a photographic memory of the beach and the stars, that’s why they return each year to the same place to lay their eggs. Others believe that this happens massively to prevent big depredators in the area. Some turtles arrive at the shore during the sunset, but it is not until night when the sky is clear and the moon’s first quarter lights up the beach when this process takes place. They crawl with great difficulty through the sand up to more than 20 meters away from the shore, which prevents the high tide from taking the eggs. Once positioned, they start digging in a hole of almost the same size as them and approximately 75 centimeters deep so that the eggs receive the heat and humidity necessary. It is a very harsh process where sometimes while hatching, you can see the turtle crying. Each one leaves between 100-150 eggs at least, that are born 45 days later. After expelling all the eggs, the turtle covers the hole again with sand and crushes it with its fins, making sure that the grounds are secured. Once the process is over, the turtle returns to the sea, and leave the eggs behind, never knowing their offsprings. Once these little turtles are born, they come out of their eggs and climb among themselves to unearth the hole where their mother left them. Here begins their way to the water, full of obstacles. Some eggs never hatch, others have a difficult time coming out of the hole and can’t make it through. Also, once they are out, they can be eaten by larger predators such as dogs, crabs, birds, and even man. Others are eaten on the road, some can not stand the currents and are dragged to the beach again and again without being able to reach the sea. The whole hatching and nesting process can be sighted by tourists, on a regular basis. Most of the National Parks in which this type of event happens offer tours to watch these turtles. You can go to Ostional National Park, Guanacaste which includes the beaches of Nosara and Guiones, one of the most famous places for the show. Also in Guanacaste, Las Baulas National Marine Park, consisting of four beaches: Playa Grande, Playa Langosta, Playa Ventanas and Playa Carbon. Another famous place in the Caribbean is the incredible Tortuguero National Park. One of the most touristic areas for this magical experience. It is important to be aware that these animals also spawn on other unprotected beaches or where there are no nearby refuge centers. It is essential to be aware of this and not bother in the process of both spawning and returning to the sea of small turtles. It is in its nature and is the normal cycle of this. Be ready to walk on the beach during dawn, sometimes you can watch small quantities but sometimes you’ll be lucky to find thousands of turtles leaving their eggs. Nevertheless, this wonderful gift from nature is something worth watching. This is an activity that can be enjoyed by everyone, children, and grown-ups. Something not to be missed!